PC Smart Medics now offers Remote Rescue Service. If your PC, or Mac needs help or you just want someone to look at your system and answer some questions Remote Rescue may just what you need. It is secure and fast allowing you to show your technician just what you need. PC Smart Medics offers full web development services including graphic and video development as well as database, ecommerce. and marketing analysis services. PC Smart Medics vehicles are now equipped with mobile WiFi hot spots allowing our technicians to have their own broadband connection handy for immediate remote support from the road or for on site diagnostics and testing. PC Smart Medics respects your time and money. We will be on time or we will call in advance. We will make a diagnosis within the first hour of service and inform you of your repair and cost options. Your technician will remain your technician. You will not get a different person each time you call. You will remain in control of your repair. * See our pricing page for details. 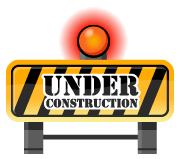 See pricing page for rates in the Kankakee and other areas. Have the software guys told you it's a hardware problem? Have the hardware guys told you it's a software problem? Are you tired of having your data deleted each time your computer is repaired? Maybe you are just tired of impersonal big box style wait your turn service? DON'T PANIC! YOU HAVE FOUND THE HELP YOU NEED. It is our mission to provide residential and small business customers with the same high level of personal IT support previously available only to large corporations at reasonable cost. 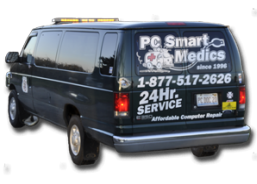 PC Smart Medics is family owned and dedicated to high quality personal service for individuals and small businesses.